The Determination to jack up its internally generated revenue (IGR) for development by 100 per cent, a bill that would review Land Usages and Charges in Lagos state has gone through second reading on the floor of the State House of Assembly during plenary yesterday. Headed by Hon. Yinka Ogundimu. According to the Speaker of the House, Hon. Mudashiru Obasa, the law, was all about increasing the revenue generation of the state. As A situation where a few consultants were working with the state governments on the collection of land use charge was not good enough, calling for an increase in the number of consultants. He said: “We need more consultants to do the job so that the entire state could be covered in the collection of land use charge. 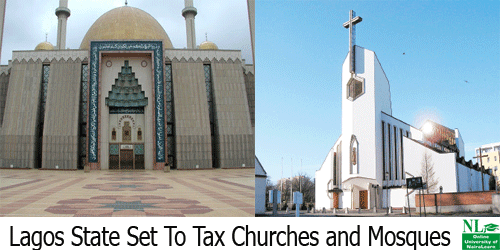 0 responses on "Lagos State Set To Tax Churches and Mosques"